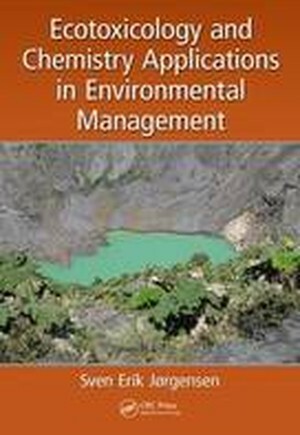 Ecotoxicology and Chemistry Applications in Environmental Management describes how to set up an integrated, holistic approach to addressing ecotoxicological problems. It provides detailed explanations in answer to questions like "Why is it necessary to apply an integrated approach?" and "How does one apply an integrated environmental management approach?" Highlighted topics of the book include * Environmental chemical calculations * QSAR estimation methods * Toxic substance interference with other environmental problems * Using diagnostic ecological subdisciplines for solutions * Cleaner production methods and technologies * Environmental risk assessment Addressing one of the most difficult tasks today, this book provides a much-needed holistic view for translating scientific knowledge and research results into effective environmental management measures. Rooted in a seven-step method, it integrates examination and quantification of an environmental problem and describes the use of ecological diagnostic tools to develop a diagnosis for ecosystem health. It also presents methods for choosing and using solutions or combinations of solutions to tackle problems.